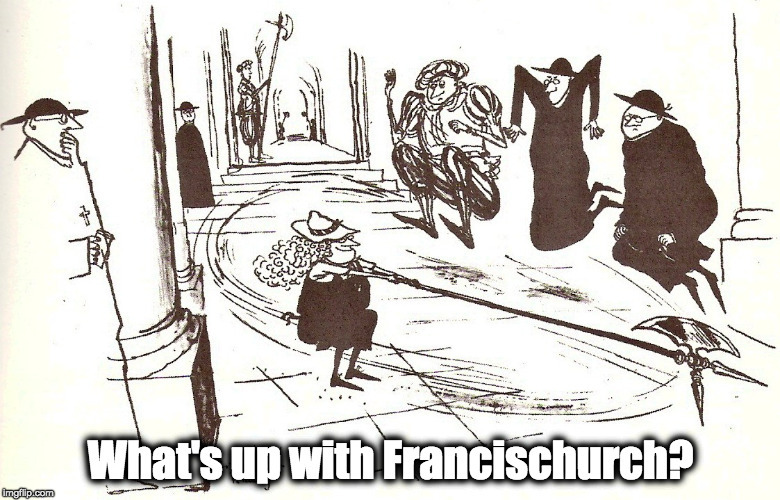 How that Cassandra Syndrome, “I told you so” thrill… – What's Up With Francis-Church? …ain’t all it’s cracked up to be. Hey! 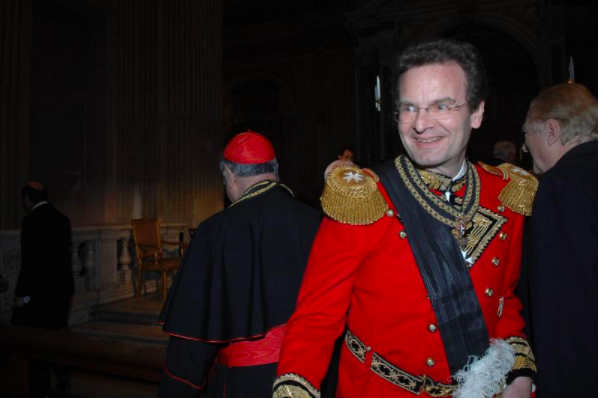 Remember that time a while back when we said the whole Sovereign Military Order of Malta kerfuffle was aimed at the effective suppression of the religious aspect of the Knights and the reduction of the order to the status of a secular medical NGO, run by the secularist German noble faction (and their banker friends) so as to make that sweet, sweet EU cash more… shall we say… available…? The business is complicated, however, because it involves a few very ancient artifacts and legal realities of Catholic life unfamiliar to our modern, egalitarian mindset; mainly that the Sovereign Military Order of the Knights of Malta is no mere charitable aid organisation in the modern sense. Nor is it just a religious order that can be suppressed at a papal whim. The pope has ordered the knights to accept no more vocations to the religious, or “professed” end of things. Herewith I wish to inform you about the answer given by the Holy Father through the Special Delegate dated January 12th 2018 to the letter addressed to His Holiness Pope Francis by H.E. the Grand Commander on December 17th 2017. According to the attached letter from the Special Delegate, we are informed by Msgr. Angelo Becciu that the Holy Father does not intend to intervene by issuing a motu proprio to change our Constitution, as requested by the Grand Commander. Furthermore, the letter states that any admissions to the religious life in the Order should be suspended until the reform is accomplished. According to what the Special Delegate told me during our meeting last week, it would not be appropriate to admit members to the Aspirancy, Noviciate, first Simple Vows and Solemn Vows until it is clear what they have to commit to in the future. Msgr. Becciu stressed to me that especially the implementation of the Vow of Poverty and the life in community, for new members admitted to the First Class, need substantial changes in order to make both of these matters comply with the definition of consecrated life according to the Church. My contact in the Knights comments: “What is not obvious is the ultimate outcome… Will the SMOM be forced to become a sovereign medical NGO with some retained Catholic knightly trappings to keep the members/donors happy? We just don’t know yet.